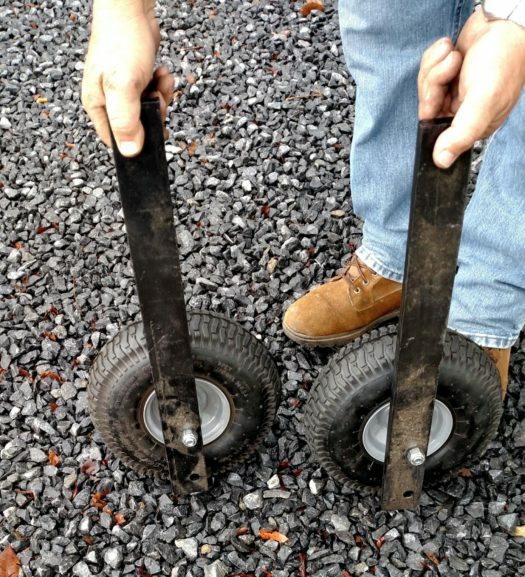 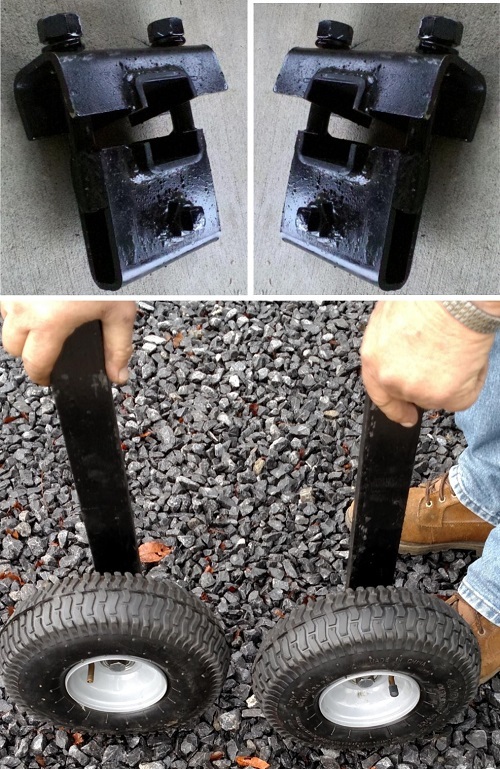 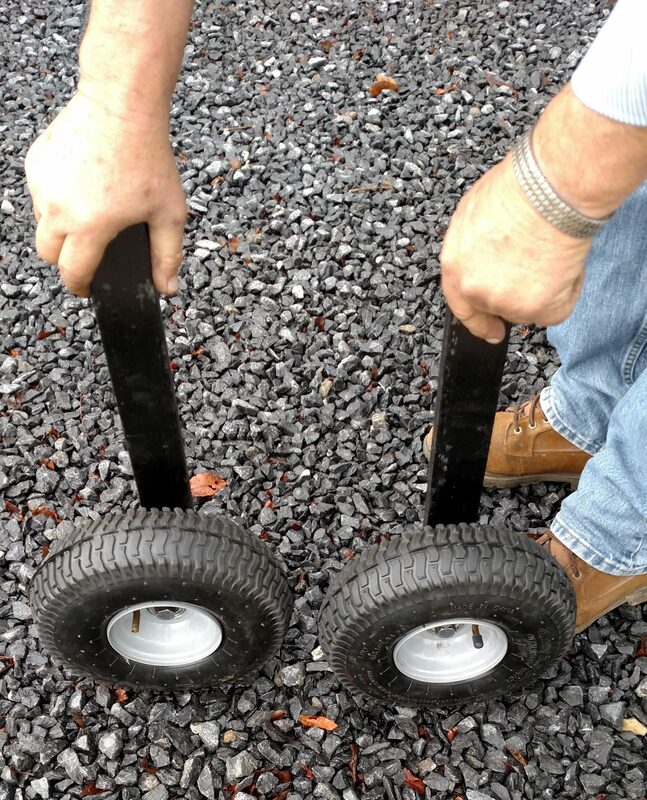 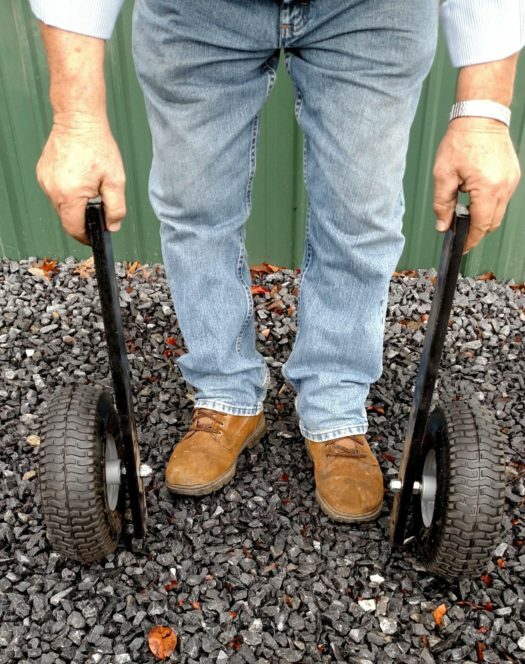 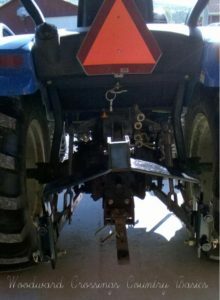 The purpose of installing a Gauge Wheel Set is to help control the depth of the piece of equipment that you also have on the toolbar, such as a furrower, hiller or cultivator. 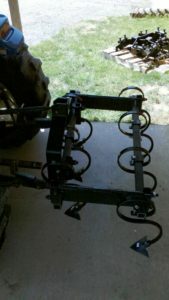 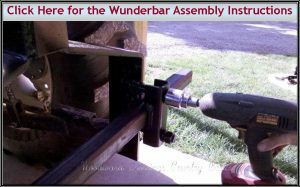 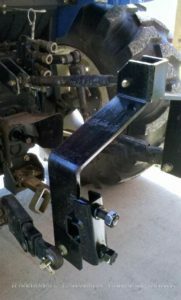 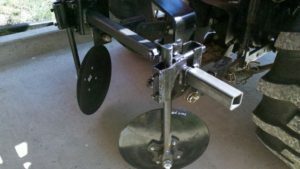 By using 2 “Spacer Bars” to the Wunderbar Cat I Hitch and Adding an Additional Toolbar, You Can Make Your Own 2-Row Cultivator and More! Showing our CAT I 3 Pt. 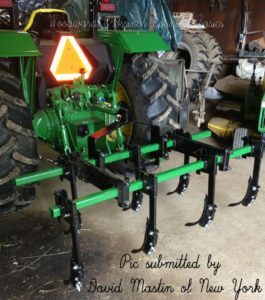 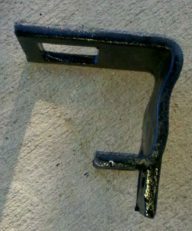 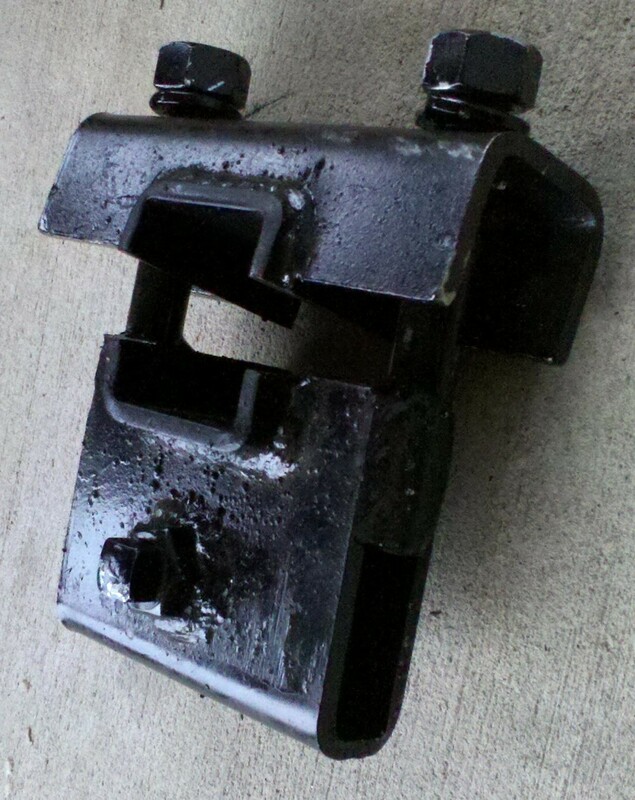 Hitch, 18″ Spacers, 6 Ft. Toolbars, our 5/8″ Shanks, and Straight Chisel Spikes.